At first glance, Shane Dominic Crawford and Tariq Abdul Haqq have nothing in common besides being citizens of Trinidad and Tobago, the Caribbean island nation located between Grenada and Venezuela. On the dark side, Shane was a gangster with a long career in crime and the prime suspect in the attempted murder of the prime minister in 2011. On the bright side, Tariq was a hero who won the silver medal in the super heavyweight boxing class at the Commonwealth Games. He was son of Yacoob Abdul Haqq, another boxing legend and nephew of one of the most important lawyers in the country. Despite these differences, both became poster boys for the terrorists of Islamic State (IS). Both may have been killed somewhere in Syria. Shane and Tariq are not the only mystery in the Caribbean concerning IS’s connections. 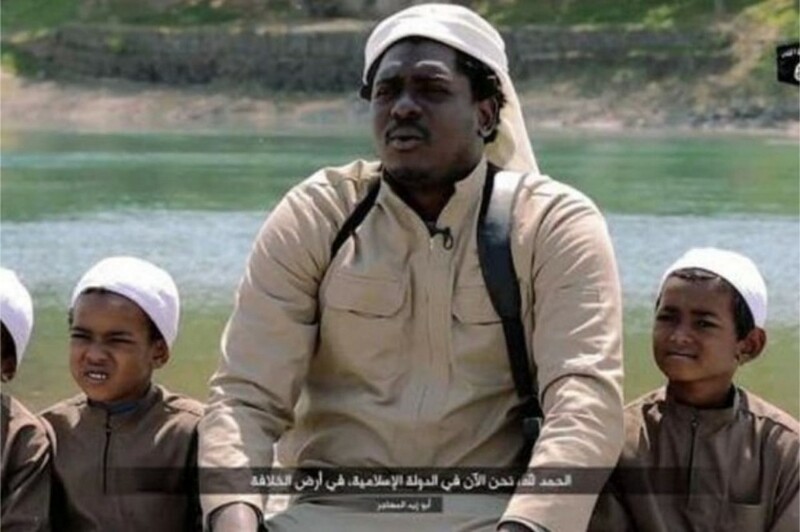 A few months ago, the secret services found that between 100 to 300 Trinidadians had joined IS. larger countries of America and Canada. To add further perspective, Portugal provided fewer recruits than Trinidad and Tobago , even though it is a country of 10 million people. This phenomenon is difficult to explain. There is no obvious connection between the country and the self-proclaimed caliphate. The Muslim community make up 5 to 10% of the population and it is generally moderate and peaceful. The country has had free elections since the 1983 coup. The economy is in good shape with high production of nutmeg, mace, cinnamon, ginger, and cloves and a thriving international oil and gas industry. The tropical landscapes attract thousands of tourists from all over the world. Some days later, almost all the suspects were released. The country did not suffer any terrorist attack during the national celebration. But Trinidad and Tobago does not have an immaculate past when it comes to fundamentalist conspiracies. In the summer of 1990, the Jamaat-al-Muslimeen, a radical group led by Lennox Philip, aka Yasin Abu Bakr, tried to kill the Prime Minister Artur Robinson, members of his cabinet and deputies and take hostages. This political nightmare left 24 people dead and more than 200 injured in a rampage of arson and pillaging by Abu Bakr’s followers. The leader was arrested but in the end he was released with an amnesty. The independent defense analyst and attorney-at-law Sanjay Badri-Maharaj, based in Trinidad and Tobago, says that in the years that followed this failed plot three other groups arose from the ashes of Jamaat-al-Muslimeen: Waajatul Islaamiyah, known for publishing newsletters supporting al-Qaeda, Jamaat al Islami al Karibi, and Jamaat al Murabiteen. The Waajatul Islaamiyah (Islamic Front) leader, Umar Abdullah, has even admitted publicly that he was recruiting young Muslims to IS. And radical preachers such as Yasin Abu Bakr have not disappeared. In 2015 and 2016, two IS videos and an interview showed the world that Trinidad and Tobago’s fighters are in the top league of terrorism. A jihadist named Abu Zaid al-Muhajir announced that he had brought three children to the caliphate. Another fighter, Abu Khalid, stated that Muslims in Trinidad and Tobago were confined and persecuted. And finally, styling himself as Abu Sa’d at-Trinidadi, Shane Dominic Crawford of the dark side of society gave an interview to Dabiq magazine, a sort of Vanity Fair of terror. Did the message have impact? For sure. It is not by chance that Trinidad became a case study in jihadist matters. And it’s nothing to do with nice and tropical weather. Today, most of the Trinidad and Tobago volunteers are dead or in the hands of the Kurds or the Syrian army. Nobody travels from the Caribbean to Syria anymore as they did two years ago. But you can feel the fear of the returnees and their harmful influence among young Muslims. So have the authorities learned anything from the 1990 plot or from the recent Carnival threat? Or could things happen again in the same radical mosques or under the mask of obscure organizations? In this field, Fuad Abu Bakr is a politician of note. He is the son of Yasin Abu Bakr, the leader of the failed 1990 coup d’état. He leads the New National Vision, a political party that defends “the poor and working class” and mixes Islamic doctrine and 1970’s black power rhetoric.